This entertaining book contains ten easy to prepare, delicious and healthy snacks for doggie treats. From banana barkottis to sweet potato wedges with cinnamon & turmeric [ awfully good for dogs]. Tried and tested by Tilly, Mungo and us! 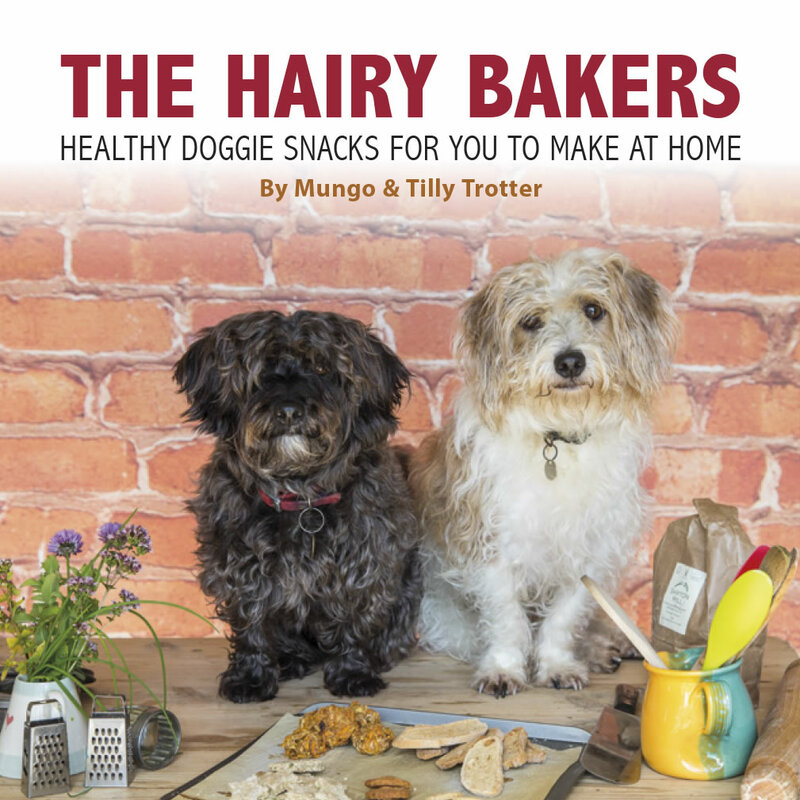 The recipes are interspersed with some lovely photos from previous ‘’doggie shoots’’creating an affectionate look at Tilly and Mungos canine friends. A great book for all dog lovers. The best thing since tummy tickles. Amazing value and the perfect Christmas present for dog owners. A PayPal account is not required and you can order more than one book in the basket, P&P stays at £3.50 for multiple book orders.